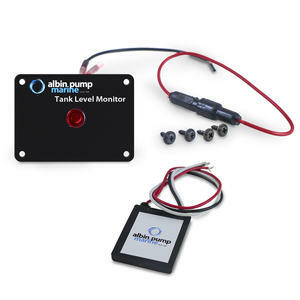 12V Digital fluid level sensor for plastic holding tanks on marine, RV and agricultural applications. Glues to the outside of the tank and monitor the level inside. 3 wire sensor with high quality adhesive mount. 305mm (12") wire leads. Includes Display panel 12V with LED indicator light 12V, fuse and fuse holder.